performance of the hottest LED on the market. and with the added features you want! mounting foot adjusts to achieve perfect horizontal lightbar alignment. • Three-in-one combination light for warning, flood/alley and ground illumination in one remarkably compact surface mount lighthead. 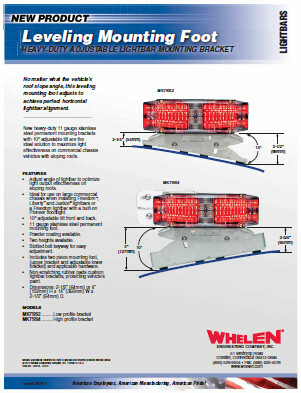 • 180° wide-angle warning light for Class I SAE 845 requirements. 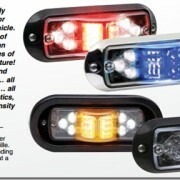 • Color LEDs with clear outer lens. • Hard-coated lenses with HDO technology for unmatched high intensity warning. 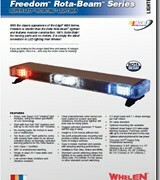 • Scan-Lock™ flash patterns plus steady-burn and synchronize feature for the warning segment of this lighthead. • Warning available in Red, Amber, Blue and White. • Steady-burn White for alley/flood lighting plus White ground illumination. • Requires optional mounting kit, purchased separately.